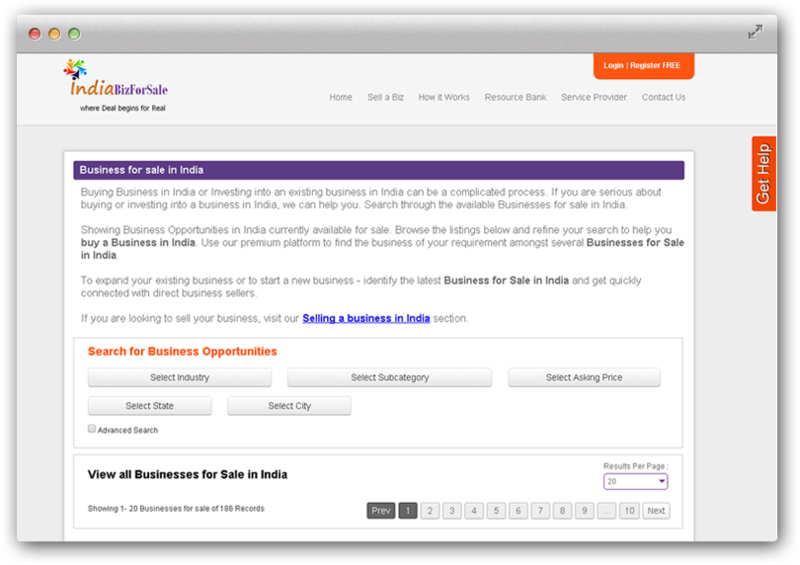 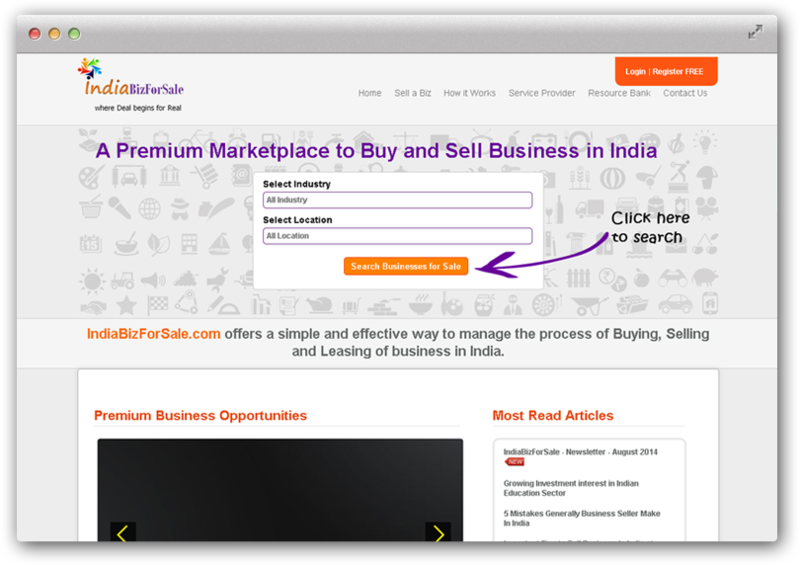 IndiaBizForSale.com is an India focussed marketplace for buyers and sellers of businesses to meet. 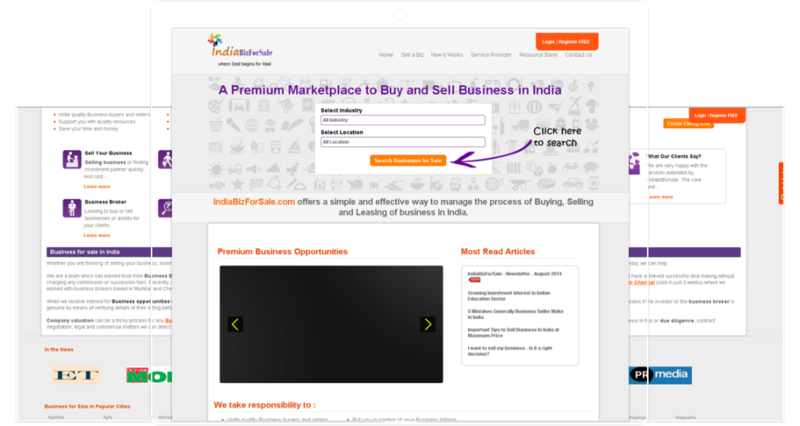 We provide an easy to use platform for buyers and sellers to search for businesses they wish to buy or sell and to manage the deal making. 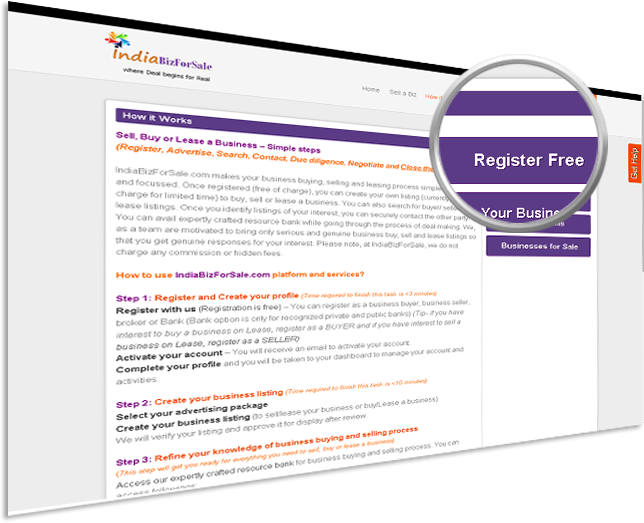 This platform also provides useful articles, news items and links to resources to help you guide through the complex process of buying or selling businesses.